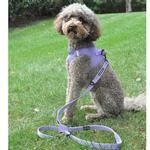 6 Way Multi-Function Dog Leash by Doggie Design - Paisley Purple Customer Photos - Send us your photo! 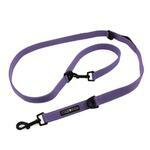 This 6 Way Multi-Function Dog Leash by Doggie Design was a must to begin with (the color, after all, is Paisley Purple and too perfect for her name / reason for her name). This leash, although a little larger than I anticipated, will get a lot of use because of the various ways it can be used. In this instance, I had a hold of the leash sitting on the porch and Paisley was able to run into the sidewalk and into those two, little hands (with a boo boo and all) that she loves so dearly! 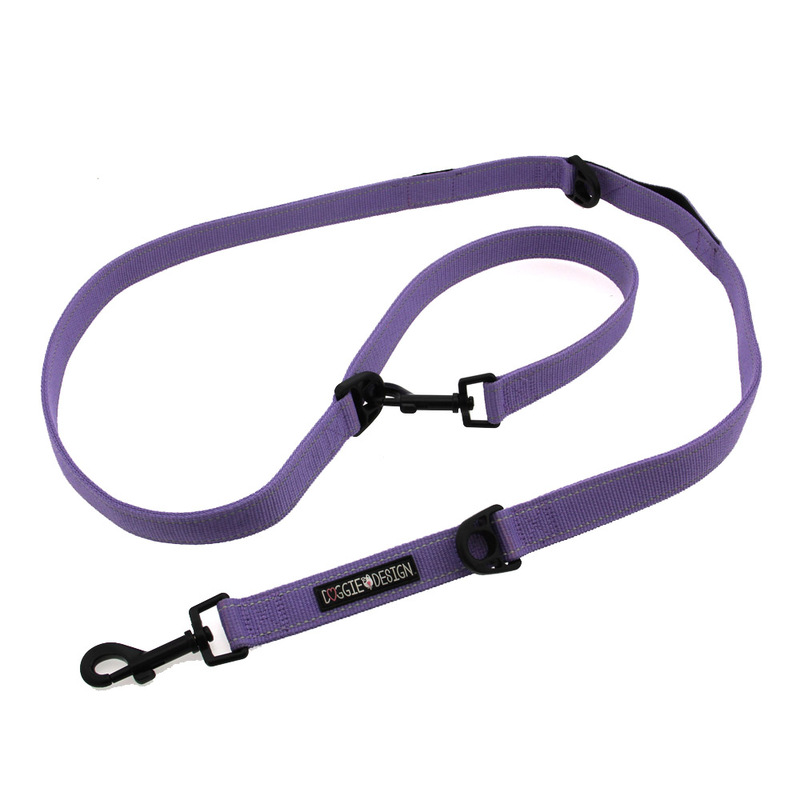 It will really come in handy when walking her and her sister, too, or latching onto something outside while I sit and she can run in her puppy circles! 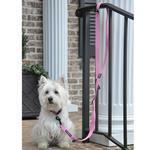 Very, VERY sturdy and well made leash, too! Posted On 09/15/18 by K from Charlotte , NC Yes, K recommends this product! The leash is great for a small dog. Posted On 07/06/18 by Jamie from Angier, NC Yes, Jamie recommends this product! Posted On 06/19/18 by Ronda from , OH Yes, Ronda recommends this product! This is a great product and VERY durable. It's actually a bit wider than I need (or thought it would be) but in the long run as my pup grows, it will be extremely nice to have on hand for the variety of ways it can be used. 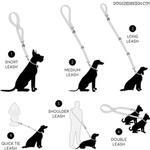 I especially like that it can be made into a shorter leash, tied to something to let her out in the yard while I'm on the porch and that you could walk two dogs at the same time (my sister has my pup's sister so we foresee using it often with the two). I have to admit I got it, also, because it's "Paisley Purple" (my pup is named Paisley after Paisley Park/Prince so if that wasn't a sign, I don't know what would be ... and it was the right sign because it is a very well made and durable product that I'll end up getting a lot of use out of). Posted On 05/03/18 by cynthia h from terre haute, IN Yes, cynthia h recommends this product! 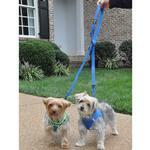 Well made and colorful leash from Doggie Designs. Miss Molly is a ruby Cavalier King Charles Spaniel that looks very good in purple!